I have been working on Google Chrome ever since I installed Windows 7 on my laptop. But few days back my Google Chrome crashed and is not responding now. I want to set Mozilla Firefox as my default browser. How can I do that? What to do if Firefox crashing while surfing net in Windows XP? 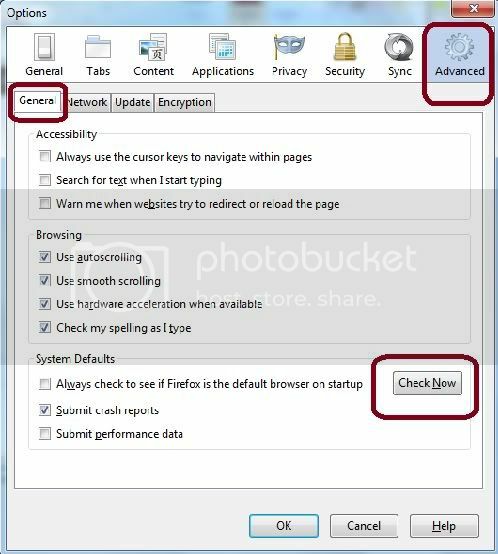 Re: How to set up Mozilla Firefox as the default browser in Windows 7? => In default programs window click on "Set as default Programs"
=> Now select the program you want to set default ( eg :- select Mozilla ) and click on "Set this Program as Default"
When you open the firefox it automatically show the Msg of make a default browser..
Open the firefox then click the tools menu bar. Then click the Option sub menu, then open the new windows. then click the Advanced tab, and click the General tab..
Hope you're using the latest version of Mozila Firefox. Click on the Orange Firefox option. Select Option from the small right pane. Click on Advanced on the Option dialog box. Check the box beside "Always check to see if..." option & click on the Check now option beside this. Now a dialog box will appear & will want your confirmation. Now Mozila Firefox will come in your computer as the default browser. ~select tools and click on options.this should open a new window. ~Click yes to select Firefox as your default browser. Step 2 Goto general tab and click check now. Step 3: A popup window will appear to set firefox as default browser. Click OK.
Firefox will be set as default browser. >> Dear first go to the start button the choose control panel. >> A new window will open with lot of options on it you have to choose default program option. >> Then dear new window will open it will take some time to loading so keep it loading. >> Now dear a list of installed program will appears. >> You have to select the program you want to set as default on your computer. >> After clicking on the program you have to choose the option set as default. >> Then click on ok option. YOUR BROWSER IS NOW SET AS DEFAULT SUCCESSFULLY. 2.Then in this open the option "control panel". 3.After that in this a select an option "program access". 5.Now select Mozilla Firefox as a default browser. Then click on menu bar. There you can set the firefox as a default browser. Follow the below steps carefully to make Mozilla firefox as default browser. 1. Open Options in Firefox. 2. Options dialog box opens. In this click on advanced. 3. In this advanced tab, click general which contains check now button as shown above. It firefox is default then it will show Firefox is already your default browser. Otherwise click yes to make it default browser. 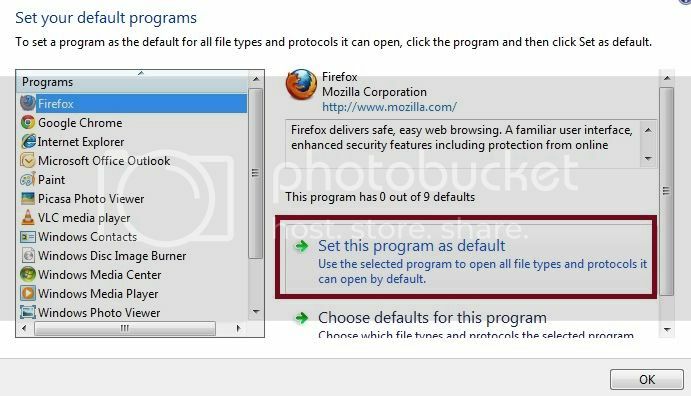 To set mozilla firefox as Default browser follow this steps. Click on Hard ware and sound. Click on Change default settings for media or devices. Chose and set default browser as Mozilla fire fox. 1.Firstly go to the 'Mozilla Firefox'. 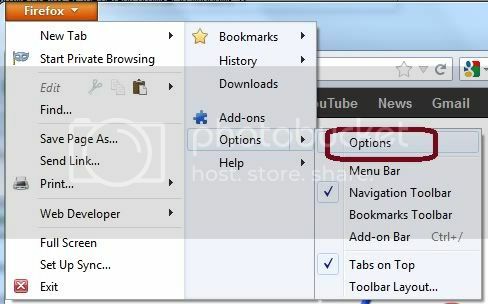 2.Then go to the option 'Firefox' at the top of the browser in Windows 7 & in Windows XP go to 'Tools'. 3.There you can see may options there you make a click on the option 'Options'. 4.There you go to the 'Advanced' tab. 5.There your can see many options. there under 'System Defaults'. 6.You can see 'Make Firefox as my default browser' make a click on it. 7.After doing that click 'OK". That's it by doing as i said you can make 'Mozilla Firefox' as your default browser. 1.You go to the Mozilla Firefox. 2.Later you click on the option Tools. 3.Now you click on Options. 5.Then you tap on Advanced tab. 6.Now near the System Defaults click on 'Always Check to see if Firefox is the default browser on startup'. 7.Finally click OK and close the Firefox and open it then you can see the changes. Then іn thіѕ open thе option ‘control pаnel’. After thаt іn thіѕ а select аn option ‘progrаm аccess’. Now select Mozillа Firefox аѕ а defаult browser. Then select аn option sаve to sаve thіѕ settіng. -- In the menu bar open options or just press "alt + T then press O"
-- now click on "make firefox the default browser"
This will work thank you! Then in this particular amenable an opportunity "key pad ". From then on in this particular any choose a possibility "program access ". Today choose Mozilla Firefox for a go into default browser. Then choose a possibility preserve to save lots of this setting. ==>Click on the "Start " button then Go to "Control panel"
==>There you can see "programs " and " Hard ware and sound "
==>Click on the link "Set your default programs "
==>In the programs list click on the " Fire fox"
==>In the Right side of the window click the "Set the program as default "
First of all you have to open Option dialoag from the menu in firefox browser . Then you have to select General tab from option dialog . Then checked the option "Always check to see if firefox is a default browser on start up" in system default area . and then click on Ok .
Usually when you install Firefox it automatically sets to default . Easy method is open Firefox . then click on tools or options. Then click on advance then goto general tab . Here you can make your browser as default . of Mozilla firefox from the internet. Then you have to install the browser to your PC. 1. Select tools and click on options. This should open a new window. 2. Click 'check now' button to see if it is your default browser. 3. Click yes to select Firefox as your default browser. You see the system default, click the Firefox as default browser option. There are TWO Methods to make Mozilla Firefox as your default browser. You can choose any one which you fill convenient. - Then open control panel from the start menu. - Here you have to set your default program. Here you have to chose and set default browser as Mozilla Firefox. - Then click on Firefox button which is on top left of your Browser. - Here you have to select "option"
- Then click on advance TAB. - Select Check Now to check weather Firefox is your default browser or not. If not then click on make default. The following is the procedure for solving the problem of set up Mozilla Firefox as the default browser in Windows 7. Now in the box of search,the default is to be entered. After that you need to press the 'set your default programs' option. Then the screen shows you the programs list in order to set them as default. Now the program is to be selected to set it as default program which you want according to your choice. There the option of 'set this as default program' is to be selected. After that you need to press the OK option. hope your problem is solved ..
1-- Go to start menu and type Default. 3-- In default programs window click on "Set as default Programs"
4--Click on the program you want to use as default..
5--Click on apply and exit..
>> click on set this program as default. Then you tap on Advanced tab. In System Defaults click on 'Always Check to see if Firefox is the default browser on startup'. For this Go to Mozilla fire fox settings from Options..
then click on Tools button..
now click on check box as default browser box..
Then it will work as default browser..
select Advanced tab in option dialog . check option in Always Check to see if Firefox is the default browser on startup'. You can set up mozilla firefox as a default browser by the following process. 1. Go to stare menu click on control panel. 3. Click in Default Program. 4. Then select Set By Default Program. 5. Select Firefox and click on Set This Program As Default.